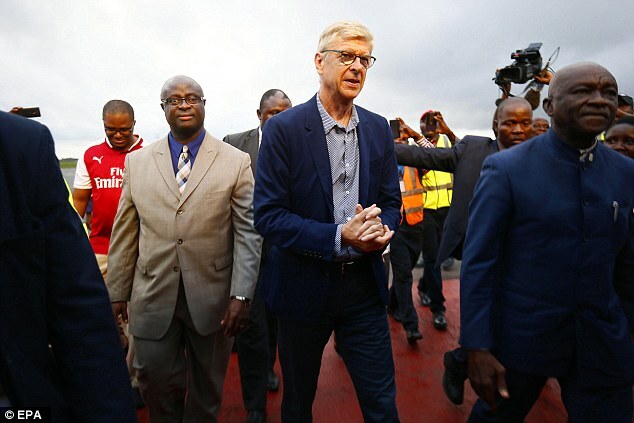 Arsene Wenger arrives in Liberia to receive special award from president George Weah... who he signed for Monaco 30 years ago! 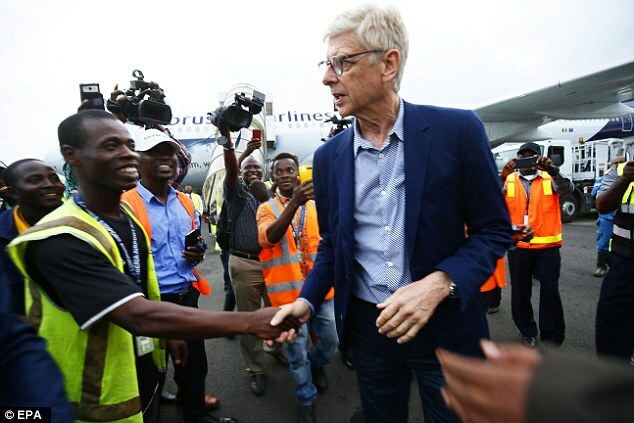 Arsene Wenger landed in Liberia on Wednesday as he prepares to receive the country's highest honour from president George Weah. Weah was signed by the former Arsenal manager when he was coaching Monaco in 1988. And he is now inducting the Frenchman into his country's Order of Distinction and given the title of Knight Grand Commander of the Humane Order of African Redemption. The award not only conveys their personal connection, but also that he 'has contributed to sports in Africa and has given many Africans opportunities, according to information minister Eugene Nagbe. Weah is the only African to have been named World Player of the Year, claiming the honour in 1995. After retiring from football in 2003 he entered politics, and won last year's election by a landslide. The award ceremony will take place in the capital, Monrovia, on Friday. 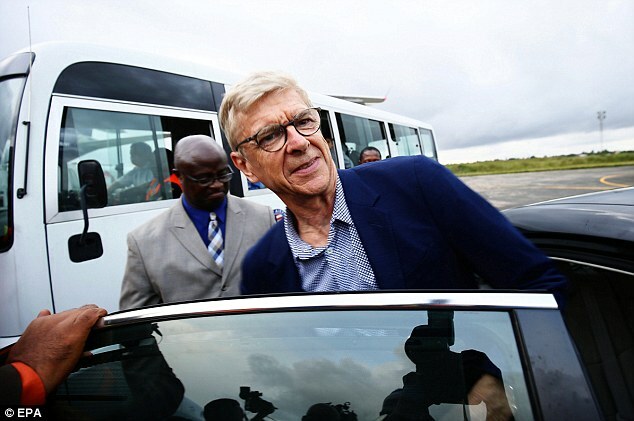 In the past he has had only positive things to say about Wenger, claiming he 'took care of me like his son' when he went to Monaco, adding that 'besides God, I think that without Arsene, there was no way I would have made it in Europe'. Wenger has called Weah's life story 'a miracle'. 'I remember when I saw him the first time at Monaco, coming in a bit lost, not knowing anybody, not being rated by anybody as a player and becoming the best player in the world in 1995 and today becoming the president of his country,' he remarked in January. The coach of the Togolese national team, Claude Le Roy, will also receive a national honour. 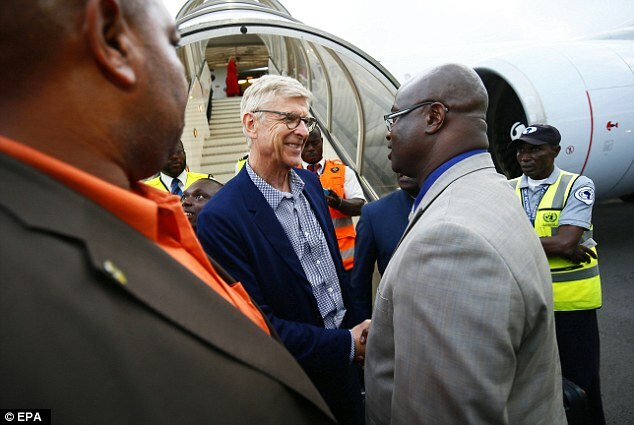 He coached Cameroon in 1988 and recommended that Wenger should sign George Weah, when was playing for Cameroonian side Tonnerre Yaounde.